Are You Ready for a Tour Event? If you’re a golfer, how would you like to play in a tour event? Confession time: I’m not talking about the PGA tour, I’m talking about the annual La Quinta Summer Golf Tour. Last year it was held from the end of May through August and players were able to enjoy 13 weeks of golf on some of the finest courses in the Coachella Valley. Included in last year’s lineup of courses were the Escena Golf Club, Eagle Falls, Classic Club, Indian Wells Country Club, and Desert Willow, among others. To “join” the tour it only cost $69 plus the weekly green fees. Avid golfers in La Quinta, Indian Wells, and the greater Palm Springs area often enjoy their home courses so much, they don’t get around to some of the other fantastic golf and country clubs. 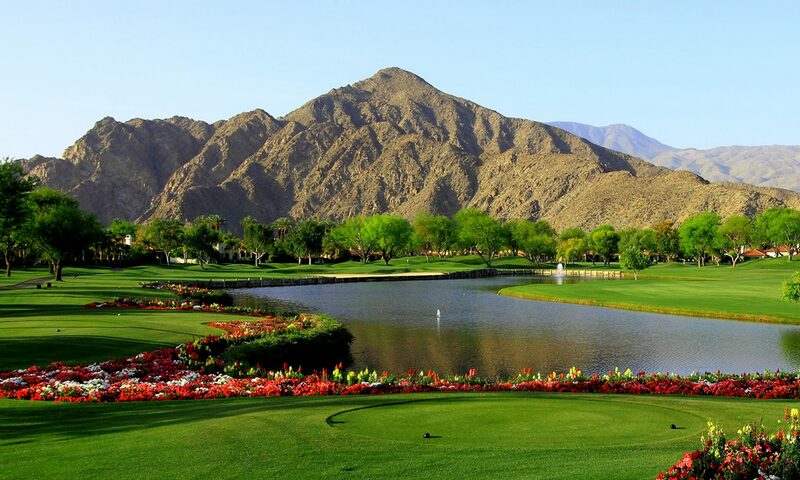 The La Quinta Summer Golf Tour is the ideal vehicle to find your next favorite course. The tour ends with a banquet where plaques are awarded to the top finalists in both the single and team divisions. Of course, many golfers participate just for the fun, exercise, experience and opportunity to make new friends. I should add that if you have friends or family visiting you, they can jump into the week’s tour event for a nominal fee and play a course they might not otherwise get onto. Where else could golfers play a 13-week local summer “tour,” never play the same course twice, and never have to venture far from home? Players who sign up for the La Quinta Summer Golf Tour certainly see a wide variety of courses, but even after the 13 weeks are over, there are many more courses to explore in the Coachella Valley. The best way to see a complete list of courses, their locations and relative costs in terms of memberships as well as neighboring real estate, is to download our free golf resource guide. As much as we love AAA maps and guides, and the map apps on our smartphones, our golf course guide is still the best way to get an overview of our area. And if you live here in La Quinta and participate on the summer tour, you have a distinct advantage that pro golfers are unable to enjoy on their tour: You can return to your own home each night after the day’s golf and relax in real comfort. And if you want to hone your swing the next day to get ready for the following week’s competition, you can play a few rounds on your home course or another nearby course. At La Quinta Resort, for example, there are three courses, two that are public along with one private course. And with 10 gated residential communities spanning these courses, your options in homes are incredible. We would be privileged to introduce you to these communities as well as other wonderful neighborhoods and have the opportunity to answer your questions. So please, download our guide, look it over and then give us a call. That summer tournament is getting closer every day. Mountain View Country Club in La Quinta was developed in 2004 by Toll Brothers. The Spanish Colonial designed community consists of 376 homes and 50 condominiums with prices of these homes ranging from $600,000 to $1,500,000. The condominiums range from $400,000 to $550,000. The 13,880 square foot clubhouse is beautifully designed in La Quinta’s Spanish Colonial architecture with main restaurant and private dining for up to 20, Golf Pro Shop, Cantina, Mens and Womens locker rooms and bag storage. The main restaurant hosts weekly Wine Wednesday and “Fresh to Table” menu Friday evenings and Jazz Brunch on Sunday. The Cantina opens daily in season. The fitness center features state of the art Cardio and Aerobic machines, free weights, strength and conditioning classes, Yoga, Pilates, and personal training. A lap pool and whirlpool spa are there for a relaxing afternoon. The onsite spa provides over 30 different treatments for facials and massage, steam rooms and locker facilities. There are 4 lit tennis courts with singles and doubles clubs and tennis clinics with the club’s tennis pro. The Par 72, 18-hole championship course is an Arnold Palmer Signature design with multiple sets of tees to challenge all levels of skill players and incorporates a full practice range with separate chipping and putting areas. Golf membership to this beautiful club and course is an initial fee of $75,000, 80% of which is refundable upon leaving. The monthly dues are $999.00, and those include social membership as well. If only a social membership is desired, that cost is $408.50/month and is included when a home is purchased in the community. This is a totally private club, and therefore the social membership can only be gotten through the purchase of a home. The social membership includes full use of Club facilities, Clubhouse, Dining, Social Events, Tennis Courts and Fitness and Spa Facility. Currently at Mountain View Country Club there are 37 homes and 6 condominiums for sale. Most homes include pools and spas, and are on the golf course. For more information about Mountain View Country Club and other golf course communities in our Desert, please download our free golf resource guide where you can easily find and compare golf membership deposits, monthly dues, and real estate prices! Simply click the button below.